Blencathra in Keswick sleeps 2 people. 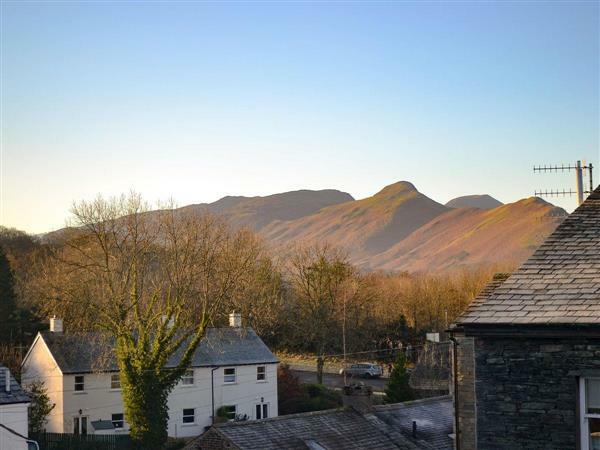 Blencathra in Keswick is one of three holiday apartments; Blencathra is a small attic apartment with sloping ceilings on the second floor, with fell views, and comprises a living room, kitchen/diner, bedroom and bathroom, a parking permit is provided for the nearby car park. Situated just off the main thoroughfare, opposite the world renowned ‘George Fishers’ climbing shop, with all amenities to hand. A 10 minute stroll along Lake Road and through the beautifully manicured gardens of Hope Park lead down to Derwentwater, with regular launch trips around the lake and numerous dropping off points. There is parking nearby with a permit included and once parked up, your car need never leave its space. The fells are accessible from the door and in the evenings the nearest bars and restaurants are within 75 yards. 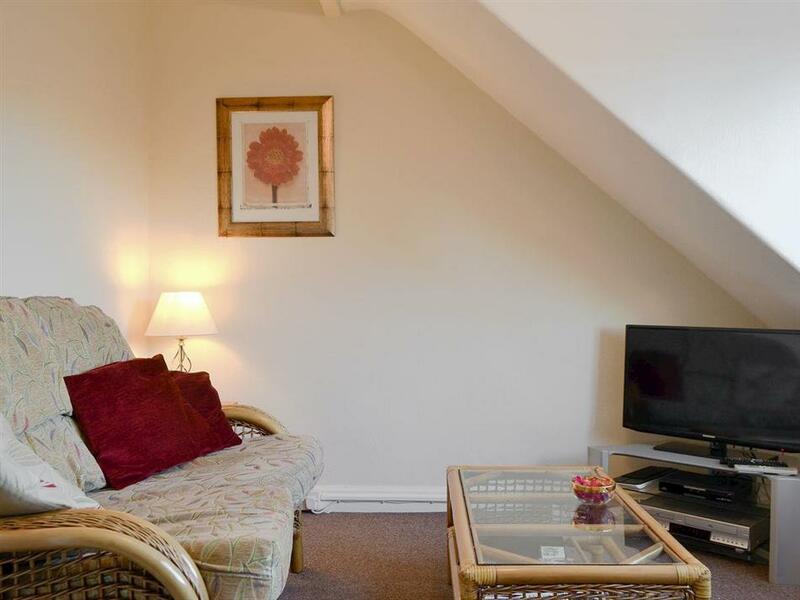 The apartments are accessed via several steps and are spacious, very comfortably furnished, well equipped and have the benefit of Wi-Fi and a shared terrace. The beach is 25 miles from Blencathra in Keswick. With the shop 100 yards, and the pub & restaurant 50 yards. Blencathra can be booked together with Skiddaw (ref UK1083 [Skiddaw]) and Catbells (ref UK1085 [Catbells]) to sleep up to 8 people. Second Floor: Blencathra in Keswick has 9 steps to main entrance. All on the second floor. Sloping ceilings throughout. Living room: With electric fire, 32 Freeview TV and DVD player. Kitchen/diner: With electric oven, electric hob, microwave, fridge/freezer and dishwasher. Gas central heating, electricity, bed linen and Wi-Fi included. Travel cot. Terrace (shared with other apartments on-site). Parking permit for 1 car included. No smoking. Holidays at Blencathra run from Friday to Friday. For a better idea of where Blencathra is, you can see Blencathra on the map below. Blencathra is in Cumbria; should you be on the lookout for a special offer, you can find all the special offers in Cumbria. It's always worth checking to see what is on offer at the moment. Do you want to holiday near Blencathra (UK1084), you can see other cottages within 25 miles of Blencathra; have a look to find your perfect holiday location.